On May 18, 2017, Robert Lighthizer, the recently confirmed United States Trade Representative (USTR), notified Congress of the Administration’s intentions to renegotiate the North American Free Trade Agreement (NAFTA). This notification, required by section 105(a)(1)(A) of the Bipartisan Congressional Trade Priorities and Accountability Act of 2015, started the 90-day period in which the Administration must wait before beginning the renegotiation. This period ends on August 16, 2017, after which the Administration may begin negotiations. During this period, the USTR shall conduct both Congressional and public hearings in order to better clarify the intentions of the renegotiation. Notification from the public to testify and written testimony must be submitted by June 12, 2017. No changes shall take effect until after the 90-day period, so importers and exporters should continue with business as usual. However, they should also note that significant changes might occur after that time period. The Office Of The United States Trade Representative has released a preliminary list of objectives about which they are seeking public comments. These objectives are presented with the goal of modernizing the NAFTA to better reflect a modern U.S. economy. These objectives include, among others, a reexamination of remaining tariffs and non- tariff barriers, changes in the treatment of digital goods, and changes to rules of origin procedures. A full list of objectives can be found here. GTE will continue to monitor the specific objectives and changes of the renegotiation. If you have any questions or desire a consultation as to how these changes may affect your organization please contact us. On May 11, 2017, the New York Times reported that China and the United States have come to an agreement on a set of trade deals covering such areas as beef and poultry, electronic payment services, and natural gas. Some of the positions the U.S. has agreed to are said to be compromises to positions taken by the Obama administration. There remain, however, large issues to grapple with, and these may complicate relations between the two trading partners. Some of the agreements are primarily updates to previous agreements reached under the Obama administration. For instance, for a decade, China has not accepted U.S. imports of beef due to concerns about mad cow disease. Beginning July 16th, China will allow these imports. Similarly, the U.S. has for years refused to accept Chinese imports of certain poultry products due to fears of Salmonella and bird flu, but following the recent trade agreement, the U.S. will began accepting cooked poultry imports. Other deadlines and agreements include plans to streamline the U.S.’s application to ship bioengineered seeds to China, and to allow U.S. financial institutions to offer electronic payment services in China, and for China to accept natural gas from the United States. The terms of the deals were announced on Thursday, May 11, 2017. The Trump administration also decided to send a representative to participate in a May 14th forum in Beijing regarding President Xi Jinping’s international investment initiative called “One Belt, One Road.” Sending a top U.S. official, Matthew Pottinger, to participate signifies a step toward a more conciliatory approach following President Trump’s pre-election hardline stance toward trade relations with China. During the May 14 forum, China’s large global infrastructure plans were discussed. China currently has projects underway in a number of countries with struggling economies and poor infrastructure, including Pakistan, Afghanistan, Kazakhstan, Uzbekistan, Kenya, and Laos. China is aggressively moving forward building roads, ports, and power plants. They are ramping up to spend as much as a trillion dollars, with the stated goal of keeping the Chinese economy going now that large domestic projects are behind them and they remain on pace to produce significantly more steel and cement than they can use in China. There is a concern in the international community that a vast network of infrastructure projects and the debts created in participating countries will serve to tie these nations more closely to China politically as well as economically. There is a secondary concern that China will not be increasing its imports significantly. “Tell us what we [the West] are going to get out of this,” said the past chairman of the American Chamber of Commerce in China, lawyer James Zimmerman. “It’s a nonstarter if it’s all about bringing Chinese goods to Europe, or if it’s all one way.” Matthew Pottinger, the Trump administration’s senior director for Asia at the National Security Council, said at the May 14th conference that China should provide transparency regarding the bidding for contracts, so that non-state owned companies have a fair chance to earn contracts. United States-based companies such as General Electric and Honeywell are already talking about measures they might take to earn some of this future business. This would mean moving some manufacturing over to China; both companies said they are investigating this. Such a move is not in line with the stated goals of the Trump administration, however. The New York Times and the Wall Street Journal reported that on March 31, 2017, President Donald Trump signed two executive orders aimed at reducing the trade deficit. The first order directs the Commerce Department to put together a report within 90 days that will examine the factors contributing to the trade deficit. The second aims to increase the collection of duties by ensuring a more aggressive collection process. Commenting on the first order, Commerce Secretary Wilbur Ross said the report will seek to identify “every form of trade abuse and every non-reciprocal practice that now contributes to the U.S. trade deficit.” The report will take a close look at countries with which the U.S. runs a substantial trade deficit, such as China, Germany, Mexico, and Japan. Factors such as currency misalignment, flouting of trade rules, ineffective trade agreements, and lax enforcement will be given special scrutiny. Regarding the second order, the White House National Trade Council Director Peter Navarro explained that it is aimed at rectifying a longstanding problem of insufficient collection of anti- dumping and countervailing duties at U.S. ports of entries. There is concern that, since 2000, as much as $3 billion in duties have gone unpaid. Trump’s order will compel the Department of Homeland Security to take the necessary legal steps to ensure those tariffs are paid. On April 16, 2015, Senate Finance Committee Chairman Orrin Hatch (R-UT) and Ranking Member Ron Wyden (D-OR) along with House Ways and Means Chairman Paul Ryan (R-WI) and Ranking Member Sander Levin (D-MI) introduced legislations to renew the Generalized System of Preferences (GSP) and other preference programs, such as the African Growth and Opportunity Act (AGOA). 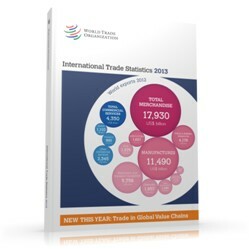 The GSP program, which expired on July 31, 2013, reduces tariffs on imports from over 130 countries in an effort to promote economic growth in the developing world. The new legislation, if passed, would renew the GSP through December 31, 2017 and apply retroactively to provide refunds for eligible products imported while the program was expired. Currently, American companies have paid over $1 billion in import tariffs since the programs expiration. Additionally, the new legislation will give the administration new flexibility to suspend or selectively limit the benefits of participating countries, rather than solely being empowered to completely withdraw all benefits. The bill gives the administration the power to initiate an out-of-cycle review of beneficiary countries to determine continual progress in meeting the eligibility criteria. By giving the administration this additional flexibility and power, the legislation attempts to prevent countries from receiving benefits from the preference programs while imposing unfair limits on American imports. President Signs Executive Order No. 13659 - "Streamlining the Export/Import Process for America's Businesses"
On February 19, 2014, President Obama signed Executive Order No. 13659, "Streamlining the Export/Import Process for America’s Businesses". The Executive Order mandates U.S. Government agencies to work together to streamline the import/export process for America's businesses and work together to complete the development of an electronic "single window" by December 2016. In response to the Executive Order, the Department of Homeland Security and its component agency, U.S. Customs and Border Protection (CBP) are taking the lead in working with their partner government agencies through a Border Interagency Executive Council that will oversee the implementation of the Executive Order's objectives. Particularly, CBP has been working for the past several years to develop the International Trade Data System (ITDS) and the Automated Commercial Environment (ACE). Eventually, CBP and its partner agencies hope to create a "single window" where trade can submit data one time and Government can use it for multiple purposes. The overall effort will continue in a phased approach with the first phase beginning in Spring 2014, with CBP, Food Safety Inspection Service, and the Environmental Protection Agency testing early technical capabilities for imports at select locations and with pre-identified industry partners. The second phase will begin in Spring 2015 and will include both imports and exports, as well as an expanded range of capabilities and industry users. By December 31, 2016, the U.S. Government will use ITDS as the primary means of receiving data and other relevant documentation required for the release of imported cargo and clearance of cargo for export.